I think it is finally time to put a stop to the myths that you can’t have two or more Medicare patients in your facility at the same time or that it is okay to bill two non-Medicare patients for four time-based units when they were each in your facility during the same one-hour time frame being treated by just one physical therapist or physical therapist assistant. The answer, or should I say, where the answer comes from, will surprise many of you. The answer does not come from the Medicare program, private insurance carriers, workers compensation programs, auto no-fault insurance carriers, or state practice acts and administrative rules. The answer to all of the questions comes from the American Medical Association (AMA). Surprised? I bet you are! How is it that the AMA is the one that provides the answer? Because the AMA creates and maintains the Current Procedural Terminology (CPT) codes that providers use to submit claims to insurance carriers, workers compensation carriers, and auto carriers to be paid for services rendered to their clients.1 The federal government, Medicare program, and insurance carriers do not create and define the CPT codes; rather, they use the CPT codes as created by the AMA to pay us for our services. 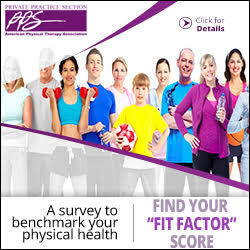 So since insurance carriers, workers compensation carriers, and auto carriers, not just the Medicare program, use the CPT codes developed and defined by the AMA to pay us for our services, the definition of “direct (one-on-one) patient contact” as defined by the AMA in some of the CPT codes applies to the insurance carriers, workers compensation programs, and auto no-fault insurances as well and not just the Medicare program. 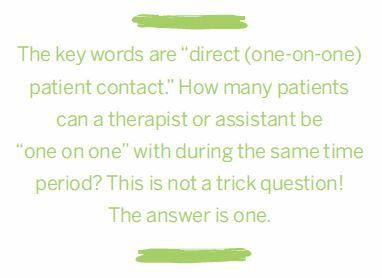 The key words are “direct (one-on-one) patient contact.” How many patients can a therapist or assistant be “one on one” with during the same time period? This is not a trick question! The answer is one. So if you had two patients in your facility during the same one-hour period, and you were the only therapist or assistant treating them, you can’t bill each patient four 15-minute time-based units that require direct one-on-one patient contact. You would bill each patient the appropriate number of 15-minute time-based units depending on how much time you spent with each patient one on one. In other words, you can’t bill for more than the one hour spent; you divide the hour appropriately between the work with the two patients. For example, say that you are working on exercise with Patient A while keeping an eye on Patient B who is exercising 10 to 20 feet away. During the 15 minutes you work one on one with Patient A doing exercises, you spend about 5 minutes instructing Patient B and giving verbal guidance and technique correction. In this case, take 5 minutes from Patient A’s time and give the 5 minutes to Patient B. You can’t bill for 20 minutes of one-on-one time during a 15-minute period. You can only be one on one with one patient at a time. You may wonder whether Patient B, who is exercising alone, is receiving group therapy. No! Group therapy requires constant attendance of the therapist or assistant providing a skilled service with two or more individuals. If you are saying you are one on one with Patient A, you can’t be somewhere else in constant attendance on a group of two or more patients. You can’t bill Patient A for one-on-one time and Patient B for group therapy during the same time period. The time Patient B spends exercising alone is not billable time since it does not meet the definition of direct (one-on-one) patient contact to bill therapeutic exercise or constant attendance to bill for group therapy. You may also think that while you are doing an ultrasound on Patient C’s lower back for 10 minutes, while you supervise Patient D on the next treatment table doing range of motion and strengthening exercises, that you can also bill Patient D for the 10 minutes of therapeutic exercise. No, you can’t. Ultrasound is a 15-minute time-based CPT code that requires direct (one-on-one) patient contact just like therapeutic exercise. 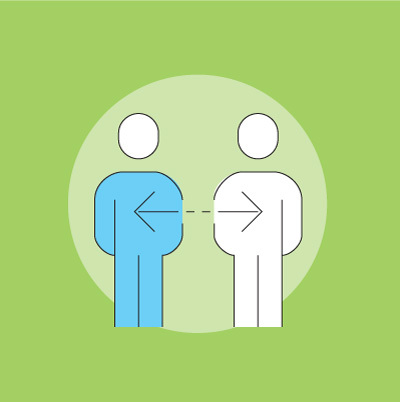 Since you are one on one with Patient C doing the ultrasound, you can’t also be one on one with Patient D. You can’t bill for 20 minutes of one-on-one time for a 10-minute time period. What you can bill for that covers the same 15-minute period is one 15-minute unit, using the time-based CPT code (for Patient C receiving the ultrasound) and a supervised modality (for Patient D doing exercise nearby) since the supervised modality is a service-based CPT code and not time based. I hope this article has cleared up the misconceptions and myths surrounding one-on-one therapy with Medicare patients and private insurance patients. 1. American Medical Association. CPT® Process: How a Code Becomes a Code. www.ama-assn.org/practice-management/cpt%C2%AE-process-how-code-becomes-code. Accessed April 6, 2017. 2. American Medical Association. CPT 2017 Professional Edition. 2016;v.
3. American Medical Association. CPT 2017 Professional Edition. 2016;668. 4. American Medical Association. CPT 2017 Professional Edition. 2016;xiii. 5. American Medical Association. CPT 2017 Professional Edition. 2016;669. 6. Centers for Medicare & Medicaid Services. Therapy Services, 11 Part B Scenarios for PTs and OTs (Individual vs Group Treatment), Question #2. www.cms.gov/Medicare/Billing/TherapyServices/Downloads/11_Part_B_Billing_Scenarios_for_PTs_and_OTs.pdf. Accessed April 6, 2017. 7. American Medical Association. CPT Assistant. December 1999;11. Rick Gawenda is the president of Gawenda Seminars & Consulting and a member of the PPS Payment Policy Committee. He can be reached at info@gawendaseminars.com.